The sun had just ducked behind the western ridge of Long Canyon and my two clients began to don their wading gear. It was a perfect evening—shade on the water, no wind and fly fishing one of the best runs on the Deschutes River, the Box Car run. Compared to other water types it was quite long, stretching from an upper riffle that flowed into a long glide. 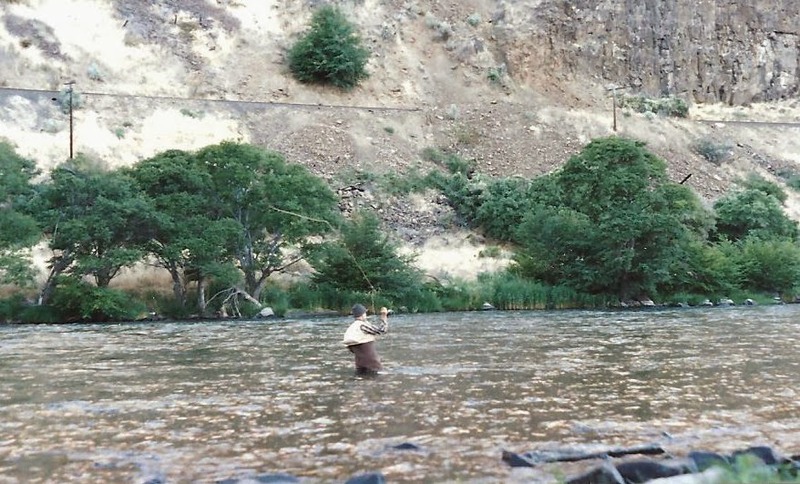 From there numerous large rocks broke the surface creating ideal resting areas for steelhead. It was a classic run. I rudely interrupted him, “You can’t just barge right into someone’s water!" “But,” the other one countered, “he takes pity on a complete stranger and for nothing gets him into fish. Can you beat that?” Fortunately, I was able to get both of them into fish the next day, so in spite of my embarrassment, it turned out to be a successful trip.